PHILIPPINES. Manila. 2013. 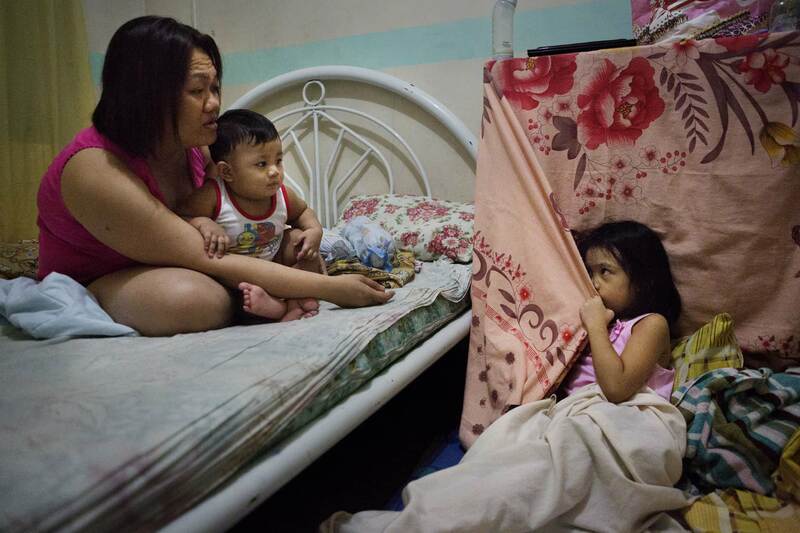 Karen Tanedo, on only her third visit home in Philippines in the last 7 years, put her kids to bed during her last evening before returning alone to Dubai.